Representative Honours: Northern Ireland: 11 Under-21 Caps (2008-2010), 3 Under-20 Caps, 10 Under-19 Caps. Club Honours: (with Ross Co.) Scottish League Challenge Cup Winner 2010/11; (with Cliftonville) Co. Antrim Shield Winner 2014/15; NIFL Cup Winner 2015/16; NIFL Charity Shield Winner 2014. 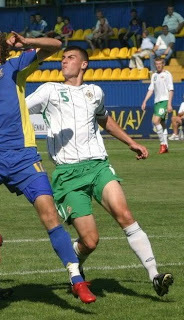 Johnny Flynn captained Northern Ireland's Under-21 side. Transferred from Ballymena to Blackburn in January 2008 after a successful trial, he was involved in Rovers' 2008/09 pre-season programme. On 16th October 2009 he joined Jim Harvey's Chester City on a months loan, during which time he "impressed as an all round central defender". He made his debut in a 1-0 Conference win over Gateshead and scored his first goal the following week in a 1-1 FA Cup draw with Barrow. On 27th November Flynn joined Accrington Stanley on another month-long loan deal. He made his debut in a 4-2 win at against Torquay on 5th December. The deal was then extended to the end of the season but disappointingly he made just eight appearances all season. Also capable as a full-back, despite Blackburn indicating that they had "high hopes" for Flynn's future, he was allowed to leave Ewood Park for Ross County on a free transfer in the early weeks of the 2010/11 season. Although he had never played in the Rovers first team, observers feel that he is "better" than the Scottish First Division. Flynn never really established himself at Ross County, and he played just seven times as the First Division title was claimed in 2012. 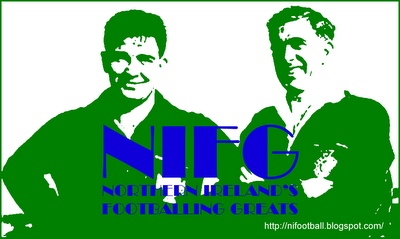 He then remained in the Scottish second tier, signing for Falkirk for a nominal fee. Flynn spent the 2012/13 season as a regular in the centre of Falkirk's defence, but was relegated to a back-up role the following campaign. His final appearances for the club where in the Premiership Play-Offs. In March 2014 it was announced that he had signed a pre-contract agreement with Cliftonville. Summary: 10(1)/0. Won 2, Drew 2, Lost 8.